Home/Buggy, Quad Biking, Tours/Dune Bashing And Stargazing For Couples! As I sit down to write this content, Kygo’s song titled Stargazing is ringing in my ears J. If you are seeking for a break from the tough life and you want a taste of adventure, then plan a vacation trip to Dubai. As Dubai is located on the Persian Gulf coast and it consists of a stunning and remarkable desert landscape. The desert is totally a natural wonder to behold and explore. It is an ideal spot for couple who want to have fun and adventure. There are multiple adventurous sport activities in Dubai such as dune bashing, deep sea fishing, mountain biking, quad bikes and many more. Doing all this, couples can have a dream vacation in Dubai. If you are planning to visit Dubai in few days, you would definitely love to experience these thrilling activities. Dubai is famous for these thrilling activities which will surely quench your thirst. Don’t waste your time and plan out some of the most famous thrilling experiences for your coming vacations. Desert safari is the best thing to experience. 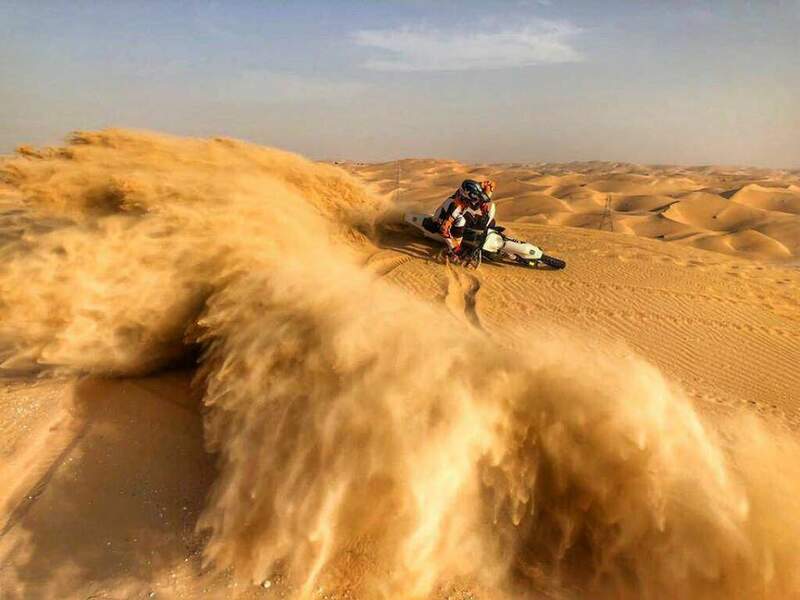 Couples can enjoy camping in the stunning desert and in this way they will be able to participate in activities like dune bashing, sand boarding, dune buggies and other. This is extremely popular choice among tourists who wish to experience life in desert with a perfect level of comfort. Desert sand dunes provide visitors an awesome off road opportunity. 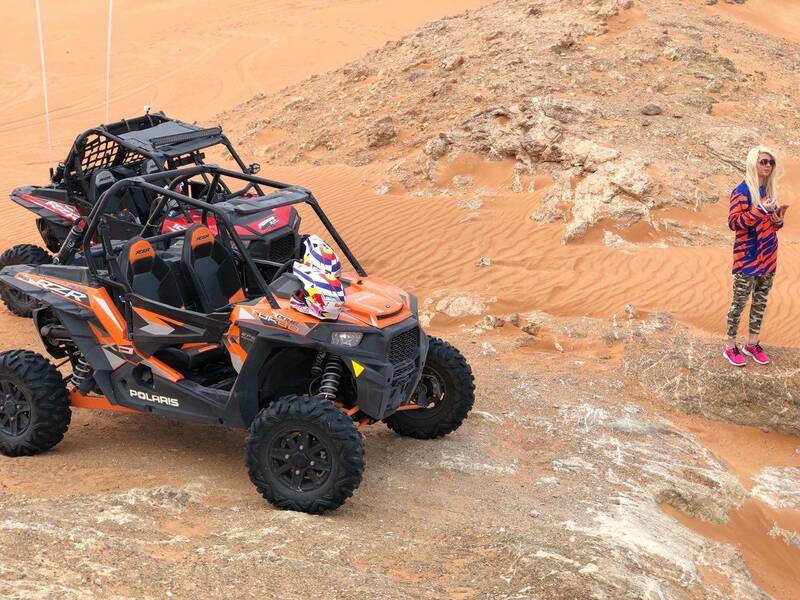 These are the perfect vehicle so that you can have a race on the sand dunes across the rolling desert surface. Couples come for desert safaris, just to experience dune bashing. Having a full day tour of Arabian desert gives you enough time to have a walk in the desert, set up a camping site, have BBQ dinner, watch the Arabian local dance, meet the local people and sightseeing. Having a superb and memorable day, the best part comes at the night. Set up your tent in the Dubai desert and lay down for stargazing in the open sky. You must be wondering that as a couple, why should you try dune bashing? Even if you didn’t plan it at first, dune bashing is a best option for tourists visiting Dubai. Classical ride that combines wide tyres and a powerful engine is a great way of racing with your better half and competing to show off your skills. While you are passing the day to witness the awe-inspiring sunset and enjoy the stargazing, there are many things that you can do during the day in the desert. Tourists can also have an opportunity to experience sand boarding. As a couple, buggy ride is also a splendid option. Sightseeing of real wildlife creatures is a great chance for pictures too. There is no other better place to experience all this than Dubai. Rent a sand dune buggy and have an ultimate desert extreme sport experience. 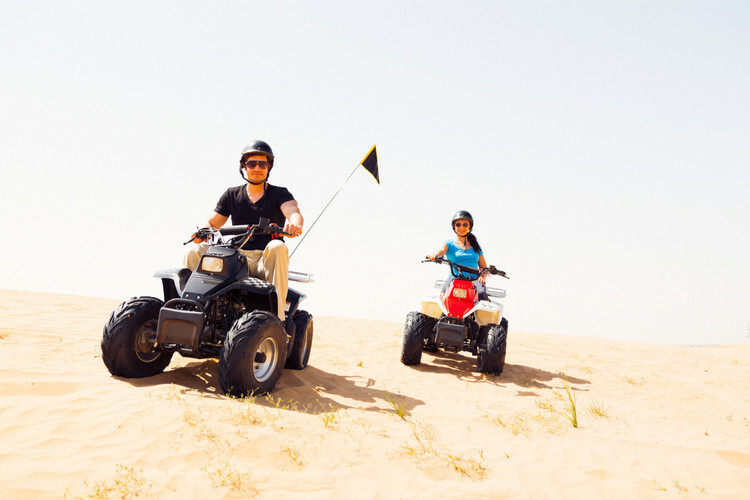 Dubai is considered as the most adventurous place for couples; so forget the lovey-dovey spots and try desert sports. 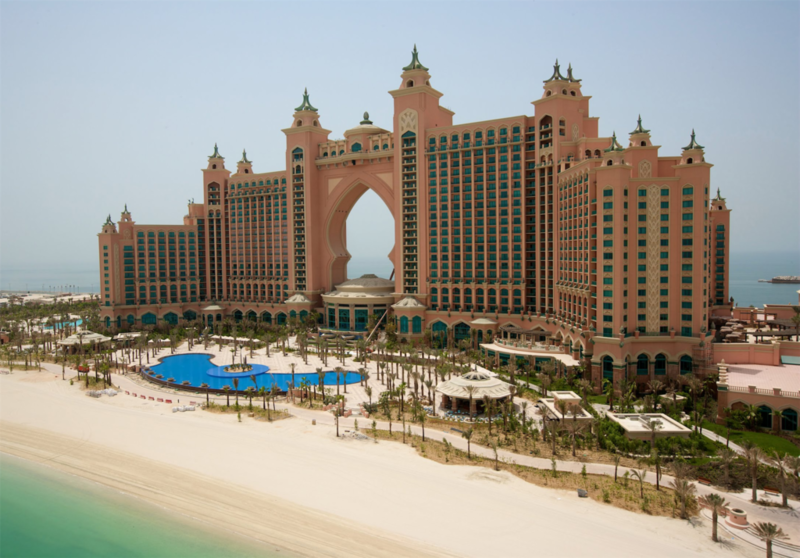 Dubai as a luxurious tourist destination and it is best suited for lavish travellers. Book your tour through MX Dubai and you will be worry-free from everything; we will take care of your ride, sports, safety, food, stay and everything. Visit our website and let us do everything so that you and your sweetheart can enjoy camping near oasis.